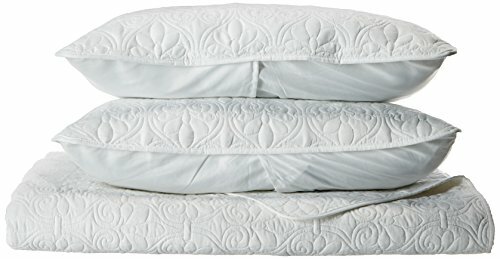 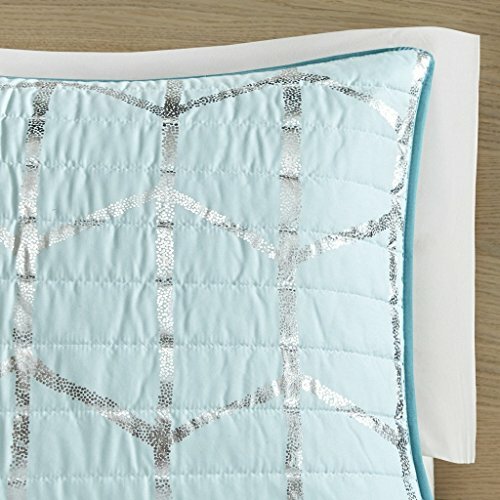 New (2) from $79.64 & FREE shipping. 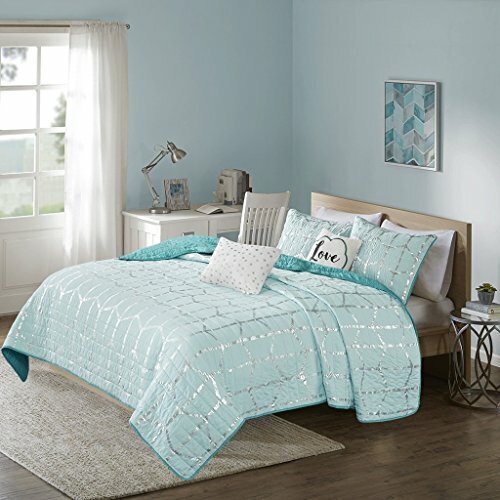 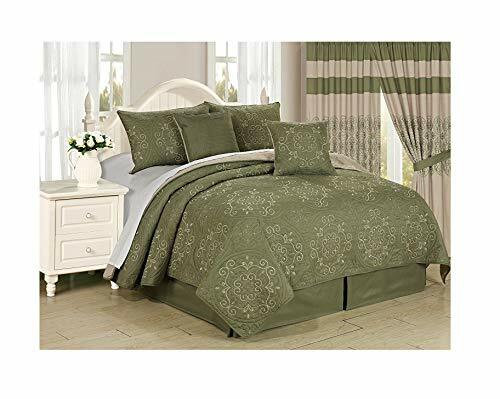 Size:Full/Queen | Color:Aqua/Silver Freshen up your bedroom with the enchanting style of Intelligent Design’s Raina Metallic Printed Coverlet Set. 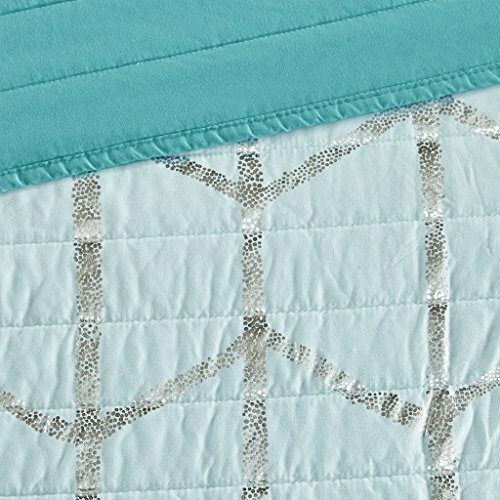 The stunning quilted coverlet flaunts a geometric, metallic silver print against a vibrant aqua ground for a fun and eye-catching look! 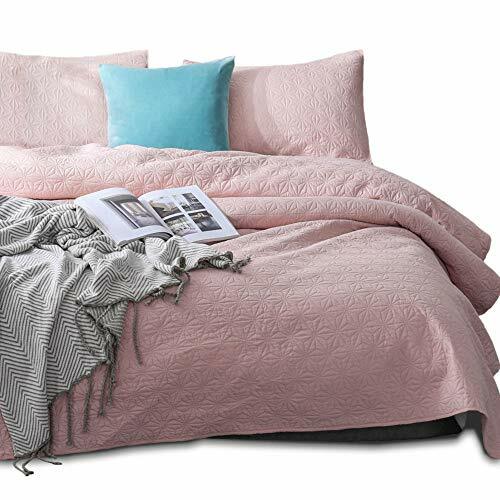 A cotton-rich filling provides exceptional warmth and comfort, while the prewashed fabric creates an extra soft feel. 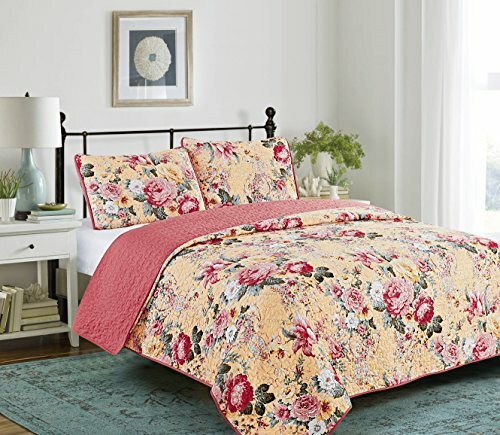 Matching sham(s) echo the design seen on top of the bed to pull the entire ensemble together. 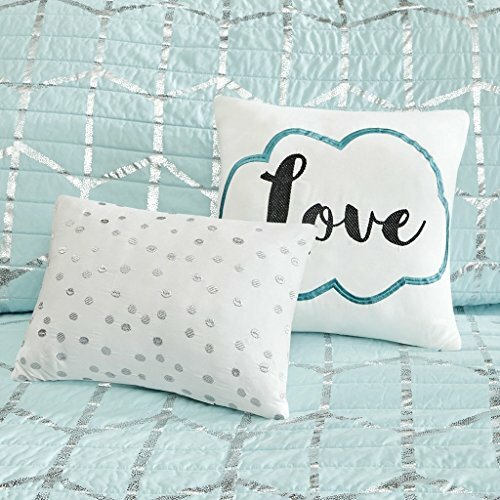 Two embroidered decorative pillows with typography and metallic details complete this fabulous, ultra-soft microfiber coverlet set.